The new Kakteen-Haage website is finally online! You can not imagine how long it takes to set up a shop with more than 10,000 different plants or seeds. Now the new shop is online. Faster, smarter, safer. Great choice, right in the greenhouse! Have a look, just spend us a visit! Looking for cacti and succulents? You are on the right place here at Kakteen-Haage! For nearly two centuries Kakteen-Haage has been the first address for cactus lovers. Explore one oft the most comprehensive range of cacti and other succulents. In our greenhouses you will find over 3,500 different species and about 2000 varieties. Order comfortably in the online shop or discover your favourite plants in the greenhouses of our nursery in Erfurt. The Kakteen-Haage catalogue offers you a great choice. 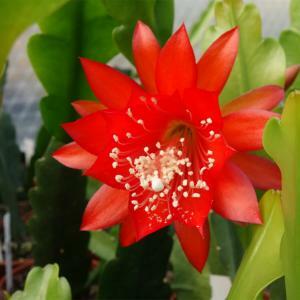 No matter if you have been a cactus collector for many years or if you are new to the world of cacti: you will find high-quality and robust plants for the window sill, the greenhouse and the garden. In addition, there are special substrates, accessories and care tips from experienced growers. rare books, posters and unique pieces of art around the wonderful world of cacti. Visit us Monday to Friday from 8 AM to 6 PM or Saturday from 10 AM to 15 PM. We look forward to see you in the worlds oldest cactus nursery!